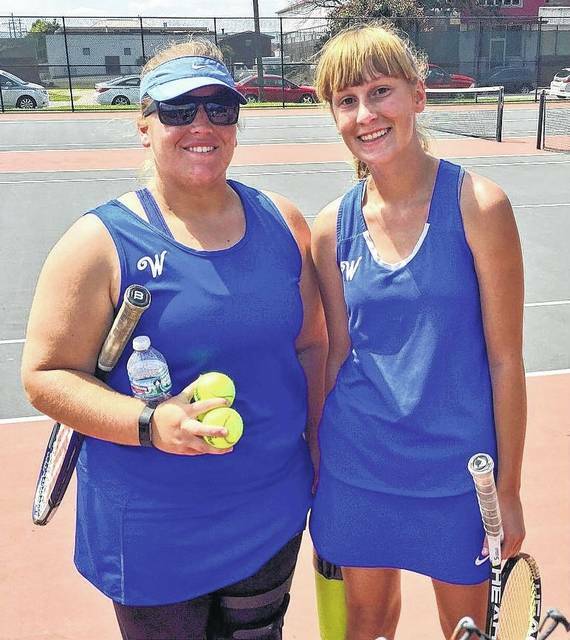 MARIETTA — The Washington Lady Blue Lion tennis team competed in a tournament at Marietta Saturday, Aug. 26. At first singles, Megan Downing fell to Marietta’s Meredith Coil, 0-6, 0-6 and to Conjeevaran from Athens High School, 5-7, 1-6. At second singles, Jen Richards lost to Taylor Define of Perry, 0-6, 3-6 and then lost in three sets to Maggie Gottfried of Marietta, 0-6, 6-4, 1-6. Sydnie Hall beat Lindsey Marshall from Marietta at third singles, 6-2, 6-0. Hall then lost to Samantha Thorpe from Perry, 5-7, 0-6. At first doubles, Bethany Wilt and Brooklyn Foose fell to Amy Brennan and Divya Yellamarju of Athens, 0-6, 0-6. Wilt and Foose bounced back and defeated Abby Ketchum and Lily Ditchendorf from Marietta, 6-4, 6-1. At second doubles, Brynne Frederick and Payton Maddux were victorious in their first match against Marietta’ Bailey Young and Ashton Binegar, 7-6 (7-4), 3-6, 6-1. Frederick and Maddux dropped their second match to Athens’ Olivia Bean and Sandy Strickland, 0-6, 0-6. Washington will be home today (Monday) against Circleville and Tuesday the Lady Lions will host Miami Trace. Both matches have a start time of 4:30 p.m.
Washington’s first doubles team of Bethany Wilt (left) and Brooklyn Foose are pictured at the Marietta tournament Saturday, Aug. 26, 2017.